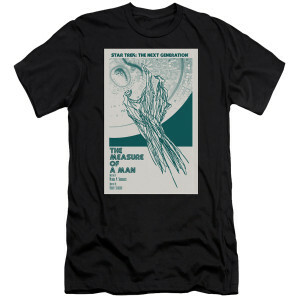 From artist Juan Ortiz, get the Star Trek The Next Generation The Measure of a Man T-Shirt, featuring an original poster for Season 2 Ep 9, as the question if Data is property or a sentient being is asked. Loved the design, I wish you had more in this type of ideas. Comfortable feel, so exactly what one would hope for.